For some, property development may seem as straightforward as just buying a block of land or demolishing an old house, building a few new units, leasing or selling them and moving on. But in reality it is not that simple. Property development is a costly and major task to undertake and although it has the potential to be a very successful investment, there are many aspects, risks and issues involved. These should be managed carefully as they often determine whether your development project will be a success or a failure. To ensure the best chance of success, anyone who wants to develop properties should work with reputable property developers. An experienced unit developer will be able to assist in developing a fruitful investment by following a certain procedure from start to finish and by managing various tasks. Before you decide on a property developer for your development, be sure to find out if they will do the following five things to help you make your investment a success. Finding and developing the right block is one of the major keys to a property development’s success. It determines how many units you can build, and what they will look like as well as the neighbourhood where your property will be located. Your property developers should assist you in locating a block of land that has good potential for success. Property developers usually have good knowledge of the areas in which they have been doing developments and most will be able to suggest a few locations that are likely to be successful and fit your requirements and budget. A good amount of planning and preparation must happen before any of the physical developments can start. Planning will include determining the feasibility of the project, a breakdown of all the costs involved throughout the project and a design and construction plan. Once the property developers have set a proper plan in place with your consent, you should apply for council approval. Your property developers will be aware of council restrictions and r-codes in the area and should be able to plan around them as well as assist you in getting any council approval you may require. They must also deal with any objections or regulations that may come forward. A property development project which is not managed properly can easily become overly challenging, expensive and even unsuccessful. Your team of property developers should manage each aspect of the process from start to finish. They should supervise and facilitate all the tradesmen and developers involved, and be able to identify any potential issues before they become difficult to fix. Any issues or decision-making should be openly communicated to you. Unit developers should be ready to answer any questions or queries you may have and to provide meaningful advice whenever you seek it. Throughout the various stages of the development many unforeseen issues may arise which will require quick decision-making and some changes to the original development strategy. Experienced developers will have gained a lot of industry knowledge by completing various projects, which will enable them to provide practical advice to resolve various issues on your project as well. If you are looking for a property developer that you can trust with your next unit development, then speak to the team at Ross North Developments today. 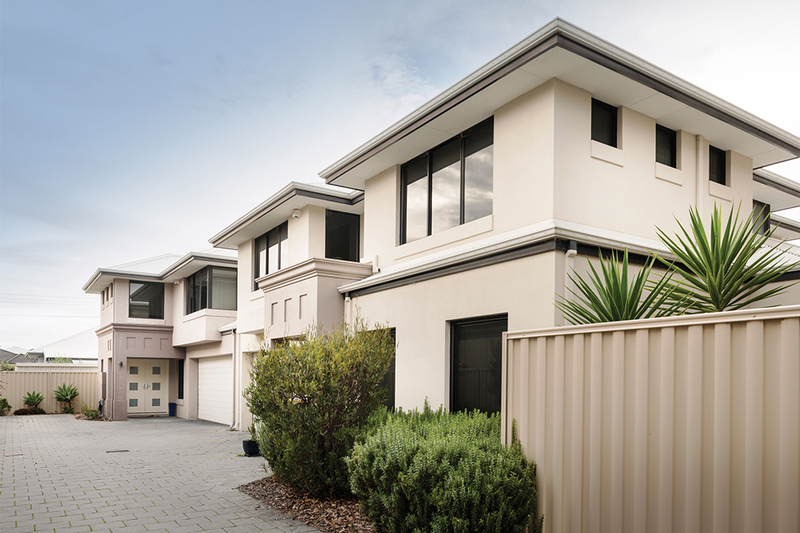 They have over 40 years of experience in the home building and development industry and can assist you with any type of unit development in Perth. Their in-house experts and extensive network of trusted tradesmen and suppliers are all dedicated to helping you make your new unit development a success. For more information about their various projects, visit www.rossnorthdevelopments.com.au or call 08 9431 8118 now.